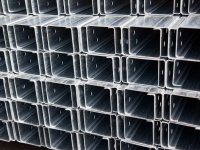 To assist in quick assembly on site, lipped channels can be supplied primed and if needed, connection holes can also be factory punched to customer specification. Abex can offer a wide range of rails of South African origin ex stock and ex production. We can further offer from our international partners a range of standards including British and Indian. 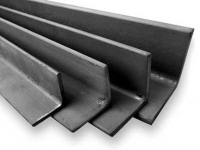 South African standard steel rails are of optional sizes to meet impact deformation and have a lower sensitivity to concentrations of stress. Crane rail, guard rails and tee rails are also available. International Standards all available ex import. ASTM A36, ASTM A572, Grade 50, EN10060, S275, S355 and equivalents. Lengths available: 6mtr. / 11mtr. / 12mtr. / 13mtr. This specification covers hot-finished or cold-finished bars except for re-forging, including rounds, squares and hexagons, and hot-rolled or extruded shapes, such as angles, tees and channels in the more commonly used types of stainless steel, excluding the free machining types for general corrosion resistance and high temperature service. This specification covers hot-finished or cold-finished bars, except bars for forging. It includes rounds, squares and hexagons in the more commonly used types of stainless and heat-resisting free-machining steels designed especially for optimum machinability and for general corrosion and high-temperature service. It is also related to the ASME boiler and pressure vessel code SA-279 Section II. This specification covers general requirements which shall apply to stainless and heat-resisting wrought steel bars, shapes, forgings and billets or other semi-finished material (except wire) for forging. 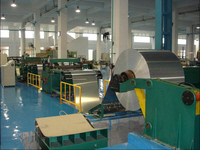 Abex also offer Angles, Channels, flats and other sections cut and bent from plate. Manufactured in accordance with ANSI B16.9 although other standard available upon request. We can also offer various special alloys such as Hastelloy, Nicrofer & Monel.